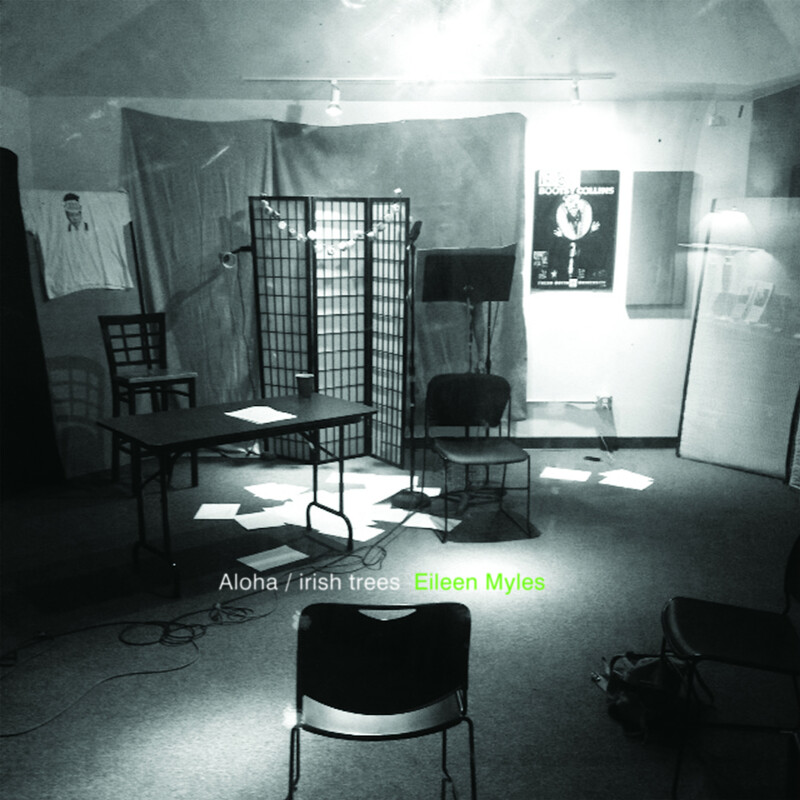 Aloha/irish trees is a collection of new and old poems by Eileen Myles, many of which have never been featured in her previous print collections and all of which have never been featured on a vinyl record. Further, unlike the vast majority of vinyl-poetry records, Aloha/irish trees was recorded live. Live meaning that it encapsulates an experience that every poet is familiar with—an occasional linguistic flub can be heard now and then, as can the sound of the poet clearing her throat, taking a sip of water. The final sentence heard on the last track of Side B is “I’m gonna catch up, I have to pee.” Listening to Aloha/irish trees is listening to Eileen Myles read her work live, an aural experience easy to hear, hard to escape.